Florafelt Pro System Vertical Garden Unit. 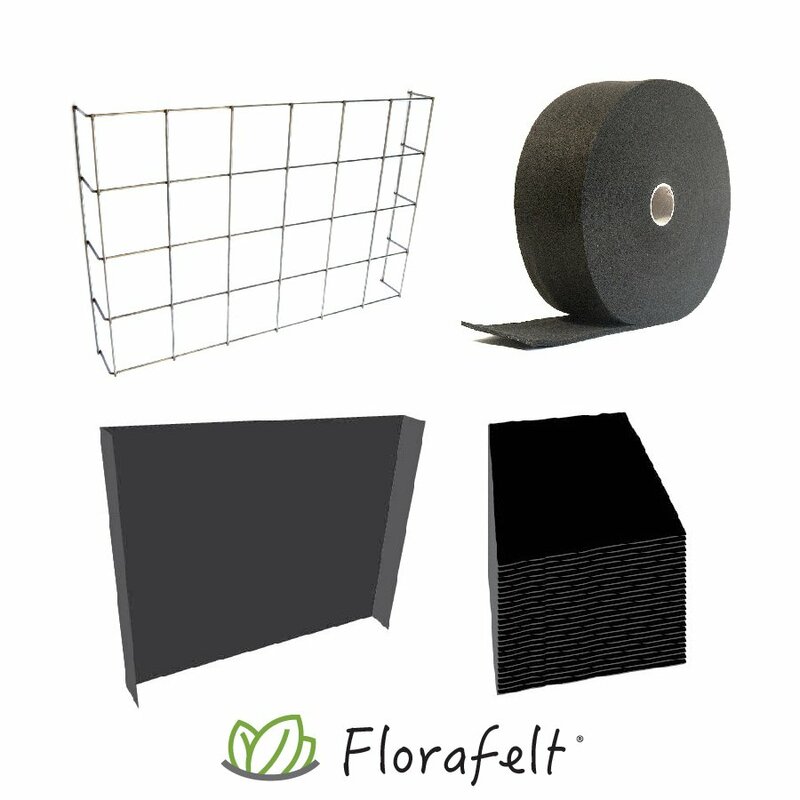 Unassembled living wall unit includes: Wire Grid (6 inch openings), Florafelt Grow Strip (15 yard), 24 16″ Root Wraps, and stainless wall mounting clips. Use to fill walls with an architectural grade vertical garden unit, as a client display, test unit, or living wall unit.